This is a game-changing mic that has been around for a few years. You may have already used it, but if you haven’t, you’ve definitely heard about it. We’re talking about the RODE NT1. 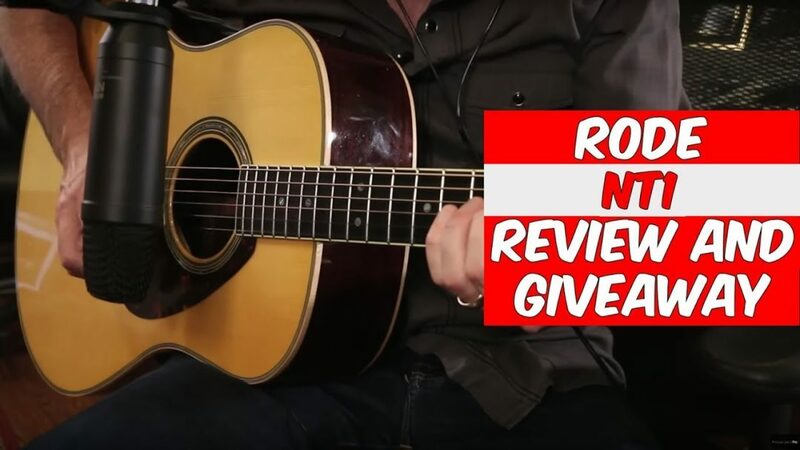 In this review we record some acoustic guitars and I sing badly into it (you know me!) The point is, this was a game changing mic. It was the first affordable large diaphragm, good sounding, microphone out there! I focused on vocal and Guitar because this Mic is perfect for the home recordist who would be using a lot of virtual instruments! The manual says incredibly quiet cardioid condenser microphone and it’s pretty darn quiet, I’ll give you that! I’m not hearing any hiss or any noise or anything. I love a lot of different microphones, but I can understand why this particular one has sold in bucket loads and why so many people talk about it! Many people have made great independent records using it! What a great mic! Bravo! Thank you RØDE! RØDE has been kind enough to give us ANOTHER one of these to giveaway to one lucky viewer! Please watch the review above and then enter the giveaway! Remember, the more actions you take the high you increase you chances of winning!